Although many may disagree about the best technology, process or information management solution, one thing rings loud and clear; there is no magic bullet! 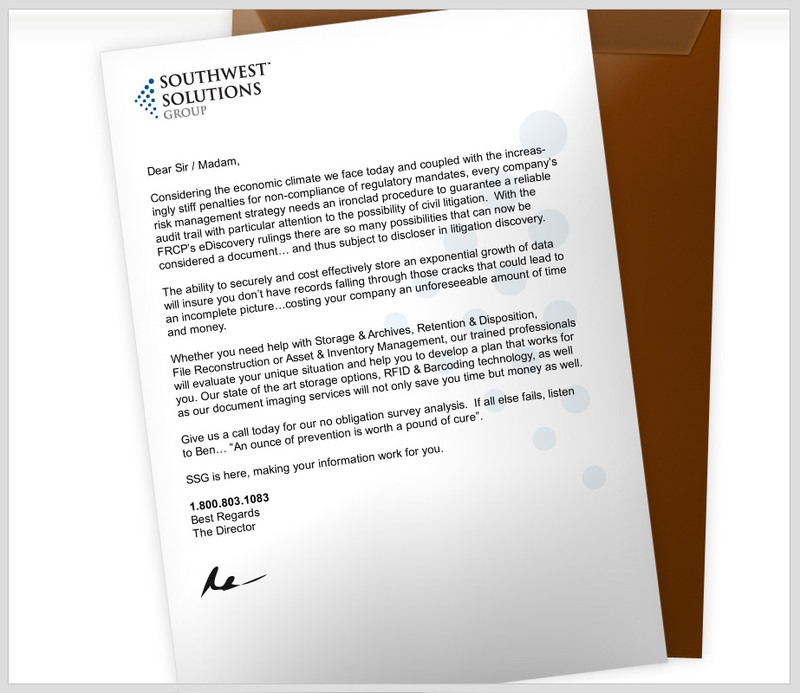 The Southwest Solutions Group IMS division recognizes the vast choices in technology and services available to solve your information management concerns. That's why we pride ourselves on understanding your business and partnering with you to develop an integrated records managment solution to bridge the gaps within your organization. Research shows that recreating one document will cost as much as $124. Now factor in the cost of multiple copies of that same document over the course of a year and you have lost a substantial amount from your bottom line. MAY 10th ARMA MEETING: "Ethics in Records Management"